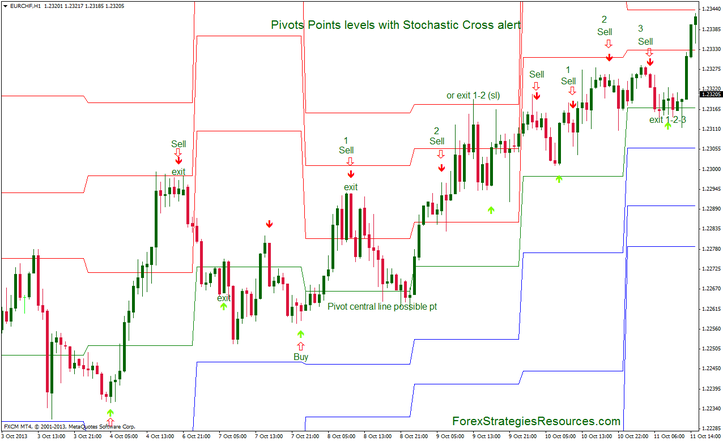 This Trading System is a reversal forex strategy based on pivot points levels indicator and stochastic cross alert. The rules for this forex strategy are very simple above pivot central line only sell, below pivot central line only buy. Wait a buy arrow below pivot point levels (green line). Wait a sell arrow above pivot point levels (green line). Open Max three positions in the same direction. Exit at the opposite stochastic cross alert or at the pivot points levels. Stop loss 3 pips below or above at the previous pivot line or 20-25 pips. This forex strategy is not for beginners but for experienced traders. 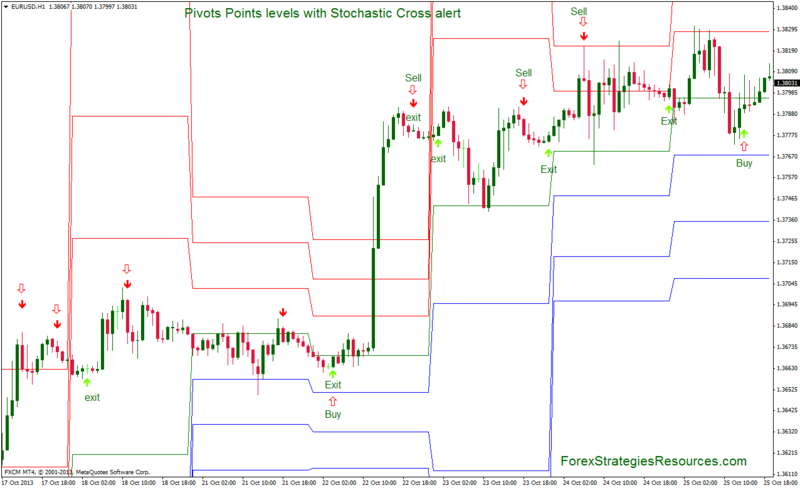 In the pictures below Pivots Points levels with Stochastic Cross alert in action.